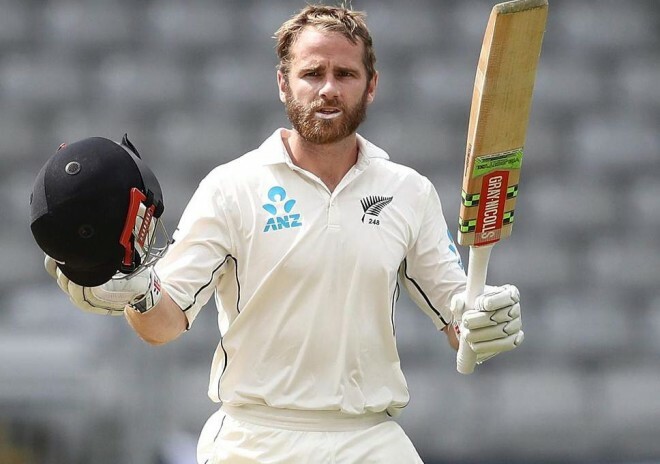 New Delhi, March 4: Kane Williamson, captain of New Zealand, after striking a second double-century of his career in the first Test of the three-match series against Bangladesh, has reached his career-best 915 rating points to attain the second spot in the batsman rankings in the Test format. This knock by the Kiwi captain has lifted him from 897 points to 915 points and he is just seven points away from toppling Virat Kohli at the top position in the International Cricket Council Test batsman rankings. Openers Tom Latham and Jeet Raval have also made steady progress in the rankings after scoring centuries. Latham's knock of 161 has enabled him to reach the 11th position while Raval has risen five slots to reach the 33rd position. Ravindra Jadeja (No 5) and Ravichandran Ashwin (No 10) are the only bowlers from India to feature in the top 10 in bowler rankings.